Four years ago, my friend, Viji Pastala who runs Under the Mango Tree got in touch about a new program that our alma mater, Mount Holyoke was considering. 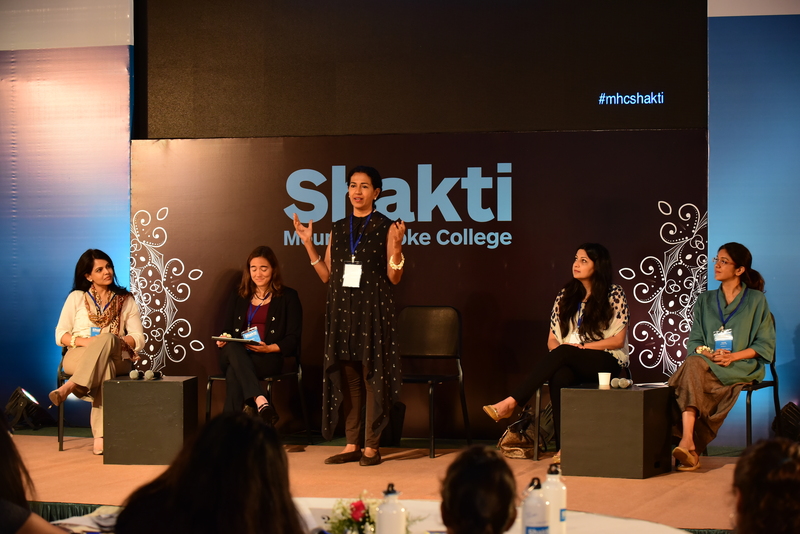 It was called “Shakti” and the idea was to get young high school girl students for a weekend of engagement with amazing women leaders. That was when I got to know Gayatri Rangachari Shah, a journalist who to my shock doesn’t have a website (need to tell G to fix that). The three of us got heavily involved in the program along with the amazing team from the American School of Bombay– headed by Jodie Sovak. The college was all in. 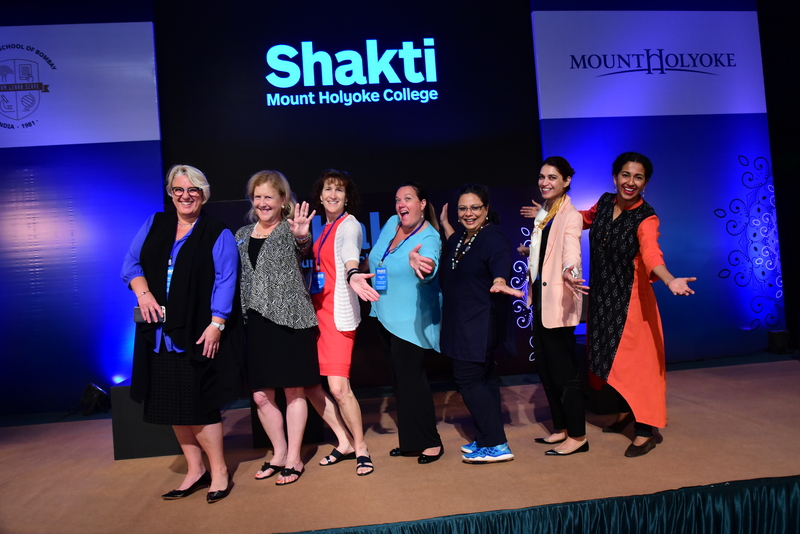 President Sonya Stephens came to Mumbai with her team and here we are hamming around. What emerged was one of the most satisfying weekends I have attended. A number of panels filled with amazing women. We argued and debated about including men and finally decided against it. Thankfully. Because all women panels work differently. The leaders who are women talk differently, open up, share vulnerabilities. 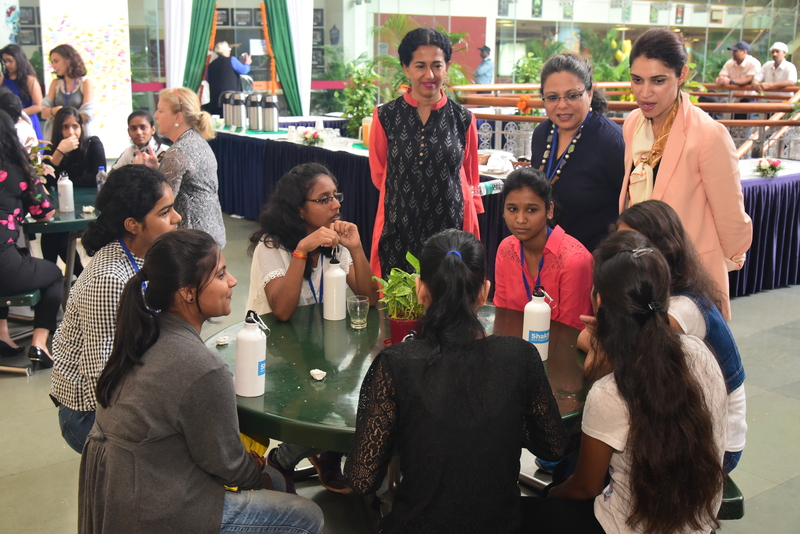 What was most satisfying was to see the girls from Akanksha Foundation ask hard questions that the high school girls from Dhirubhai Ambani school and the ASB had not encountered. It was amazing. Here are Viji, Gayatri and me, chatting over lunch with the girls. All of which leads up to the point of this post. Shakti 2018 is here. Same location: American School of Bombay. Broadly similar format. Great panels. Same goal: Igniting leadership among young women in contemporary Indian society. And now ASB has taken it to the next level. They are really amazing. The level of detail that they go into. The professionalism. The commitment. I just love the whole ASB team. If you have a daughter or a high school (girl) student that you know, please send them to the Shakti website here. It will involve two days of fantastic discussions. President Sonya Stephens of Mount Holyoke will be there. As will many amazing women. Including Yours Truly. There will be amazing college counselors who will speak about admissions and essays. There will be entrepreneurs and leaders to share their thoughts. Read about the panels here. And the speakers here. Watch Video about Shakti 2017 below.